One of the most important prayers that is recited during Navratri is the Devi Mahatmya or Durga Saptashati and it contains 700 Verses. 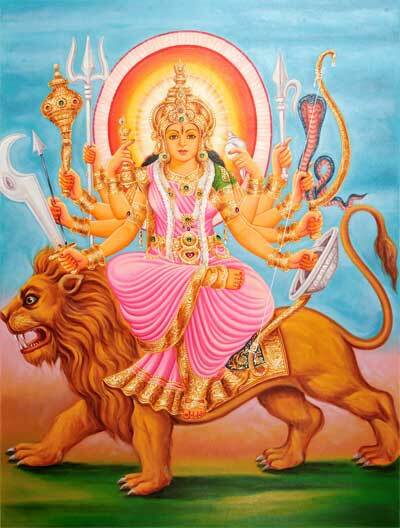 Some of the other prayers that are chanted are Durga Chalisa, Lalita Sahasranama Stotram etc. Apart from these long prayers there are also simple Navratri prayers dedicated to Hindu Goddesses which can be chanted during any prayer and meditation. Here are some simple Navratri Prayers.